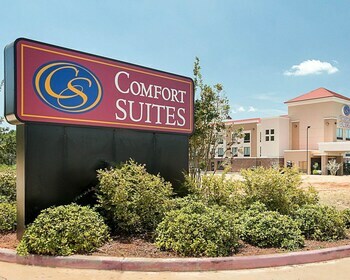 Street Address 151 Hayes Ave.
With a stay at Comfort Suites, you'll be centrally located in Natchitoches, within a 15-minute drive of Cane River National Heritage Area and Louisiana Sports Hall of Fame. Featured amenities include a business center, laundry facilities, and a safe deposit box at the front desk. Free self parking is available onsite.